Jazz has always struck a chord with me. Men and women dressed to the nines in their elegant frocks and black ties, all for the occasion and what an occasion it was! The Big Band Jazz concert exhibited the best of jazz from a bygone era of art deco and sophistication; the Great Gatsby, Ellington, Count Bassie. It’s the very best of music, fused with sartorial elegance. It’s a period I totally connect with. On my travels, I’d check out jazz clubs as often as possible. I’ve been to wonderful places, such as the Blue Note in Tokyo and the Fairmont Peace Hotel in Shanghai (but that’s another story for another day). At the end of September, I received the “Jazz @ the Philharmonic” invite. Immediately, I got to work and rounded up a dozen like-minded friends and MM2H clients. I informed them about the mid-week jazz concert by the Penang Philharmonic Orchestra. 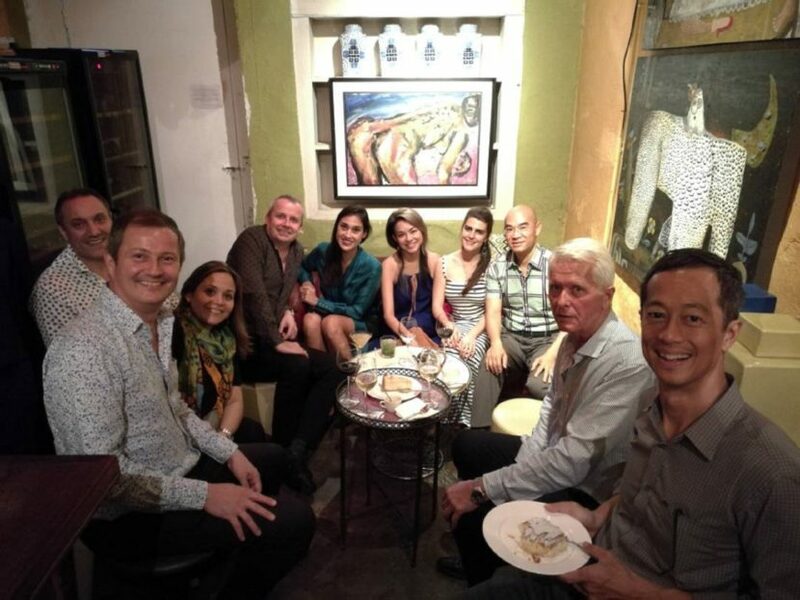 The event was at its home, The Star Pitt Street on Jalan Masjid Kapitan Keling in Georgetown’s old quarter. Built in 1906, this was previously the base for the home-grown Penang Star newspaper. However, they soon outgrew this charming old building, and now the 2nd floor, which used to be the administrative office, has become the base of the Penang Philharmonic Orchestra. I’ve attended concerts by Jerome Quah before and they’ve been consistently outstanding, so expectations were high. Jerome Quah, whose passion is musical improvisation, found an affinity with Jazz from a young age. His lecturer at the University Sains Malaya, the Jazz Maestro, Jeep, introduced him to this genre of music and he found his passion. Furthermore, he led about 20 volunteer musicians from the local community, ranging from teachers and students of music to engineers and MM2H retirees, all with one thing in common: their love for Jazz. Standards by Ellington and Hancock, such as “Watermelon Man”, “Take the A train” and an original, aptly called “Island Breeze” by Mike Tomaro, became firm favourites. The musicians took turns to play their solo pieces and exhibit their own take on the pieces. It was an hour of magic. We were transported back to 1930s; back to elegance and sophistication. Myself and my guests were both thrilled. The music lived up to the hype and the charm of the building — a place I recommend keeping an eye on for future events. Sam Choong is a lawyer practising in Malaysia. His areas of practice include estate planning, wills and UK inheritance tax for expats residing or seeking to retire in Malaysia. What is Inheritance Tax? Will Malaysia introduce Inheritance Tax? How does the Malaysian Spouse Visa stack up against Malaysia My Second Home (MM2H)? Sam Choong on How does the Malaysian Spouse Visa stack up against Malaysia My Second Home (MM2H)? Pravin Karunakaram on How does the Malaysian Spouse Visa stack up against Malaysia My Second Home (MM2H)? Copyright © 2018 Sam Choong. All rights reserved.